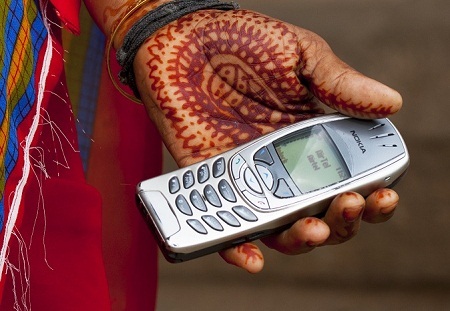 By now, we all know that the rise of mobile phones will help plug the infrastructure gap in developing countries. Many initiatives have demonstrated the potential for mobile phones to tackle some of the most pressing developmental challenges. For example, look at the phenomenal successes such as M-PESA in Kenya. However, only a handful of solutions have reached such scale and market dominance. According to a recent USAID Global Development Lab Digital Development report, very few Kenyans use Mobile for Development (M4D) “value added” services beyond M-Pesa. The report’s authors propose that the major roadblock to adoption has been consumer awareness and technical limitations. I couldn’t agree more. My colleagues and I at Georgetown University’s Institute for Reproductive Health (IRH) face the challenges of raising consumer awareness every day. Our product, CycleTel, is a?n mHealth service; we help women use the Standard Days Method (SDM) of family planning directly on their phone by alerting them via SMS of their fertile days. SDM is an easy-to-use, scientifically proven, natural family planning method based on identifying the fertile days of a woman’s menstrual cycle. After extensive user experience studies, we developed our product and tailor-made it to suit the needs and demands of women in India. CycleTel now has the opportunity to become a direct-to-consumer family planning product that could be scaled as a market-based solution outside the public health delivery system. In 2012, we started actively exploring the business case for CycleTel, developing financial analysis for sustainability. In late 2013, we moved CycleTel outside of controlled research environments to conduct a market validation study. The objective was simple – to test business model assumptions, especially those related to the direct-to-consumer, subscription-based model. With an initial enrollment of more than 450 customers, we hit a hiccup when we saw that only 21 percent of customers were using the service after two months. However, since 79 percent of continued-usage customers agreed to pay a monthly fee of 30 rupees (about 50 cents) for the service, we knew there may be a market segment for us to continue to explore. This goes far beyond simple marketing and promotion. This relies on a complex ecosystem. We looked for analogous product adoption examples in traditional business, which relies critically on a developed supply chain of sales, marketing and distribution. With mobile-enabled products, we don’t need the brick and mortar stores, but we still need the principles that have, over the years, nudged walk-in customers to try a new product. We still need training, support and attractive incentives for sales forces directly interacting with customers. We need a pitch to convert a latent need into a desire, belief, value and, ultimately, a purchase. After all, this is a massive behavior change. The traditional business’ value chain, in addition to ensuring product availability, is critical in customer engagement. Typically, the financial incentives across the chain – distributors, stockists and retailers – would be structured to create a “pull” effect. This “pull” is further enhanced with marketing efforts targeted toward raising customer interest. If the product is difficult to sell (i.e., it is a “push” product), then significant investment may be needed not only to introduce the product, but also to create a whole new market category. The family planning field has been trying to stimulate a market for years, often with subsidies for early research, demand generation and commodity purchasing. Cultivating the market is common for many of us working with new lifesaving and enhancing products – and you know it isn’t easy. A mobile service, particularly a stand-alone push product like CycleTel, does not naturally have the ecosystem of players with strong incentives to drive demand and get CycleTel into the hands of customers. Established mHealth value chains are rare at best; this is untapped territory. But we’re learning quickly that creating an integrated consumer experience for mobile products doesn’t just stop at making a method available via phones; we need a value chain of salespeople and marketers to facilitate adoption. Our next step is to leverage an ecosystem approach to identify partners that will help us build the value chain we need to better reach and serve our users – and hopefully, create a pathway for mHealth innovations along the way. * CycleTel and the Standard Days Method (SDM) are both trademarks of Georgetown University’s Institute for Reproductive Health. Charu Chadha works for the Institute for Reproductive Health at Georgetown University and is currently managing and expanding India operations for CycleTel.